That time of year is back. Summer season just started but also back to school shopping is just starting. I love seeing the new back to school styles for kids. Plus now that I have a kindergartener on my hands you always have to be on point. Growing up as kids in my city we wore a school uniform so we didn’t have to worry about not wearing the same style every day. The only option you did get was sporting a great backpack. Who had the best etc. 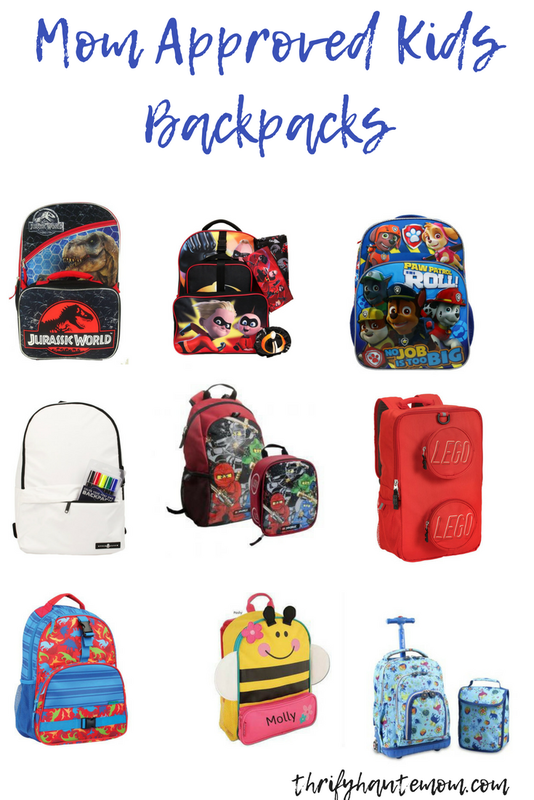 That’s why I decided to round up my top fave backpacks for kids. Jurrasic World : If you haven’t noticed dinosaurs have become a way of life here at the Harris household. THIS one is pretty cool too. For the price this is great for all you get. A backpack and lunchbox. The Incredibles movie that had come out recently, this is a great option as well. Plus it comes with 7 pieces. Paw Patrol is on alot of kids radar plus this one is too cute. THIS DIY COLORING BACKPACK is definitely the coolest. For all those Lego Ninjago fans. Plus for use parents it comes with an attaching lunchbox. The official bag of LEGO®. The LEGO® Brick Backpack. If you’re looking for personalizedthis one is the cutest. These Monogrammed ones are cute too. They come in almost every character. Sometimes it’s about convenience. This roller backpackwill get them to where they need to go. Hope your little ones that are starting school this year will have a great style expression with their backpacks.